Ridge Hill High School, built in 1934, replaced a Rosenwald-funded wood clapboard school built on the same site in 1924 which burned 10 years later. The school was rebuilt as a brick version of the original industrial school, using the same six teacher plan. The total building cost was around $8,000 in a particularly tough economic climate for Saluda County. The new Ridge Hill High School was considered one of the finest school buildings in Saluda County. 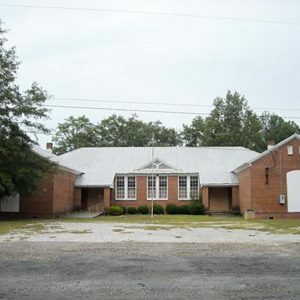 The school is a large, one-story building with a north/south orientation. Keeping the center of the building for communal uses such as an auditorium, cafeteria, and school events, the six classrooms are situated on the outer perimeter of the plan.